Who says you can’t play with your food? With the ChocolateConstruction 3D Chocolate Dinosaur Mold, you can have fun and eat it, too! Who says you can’t play with your food? 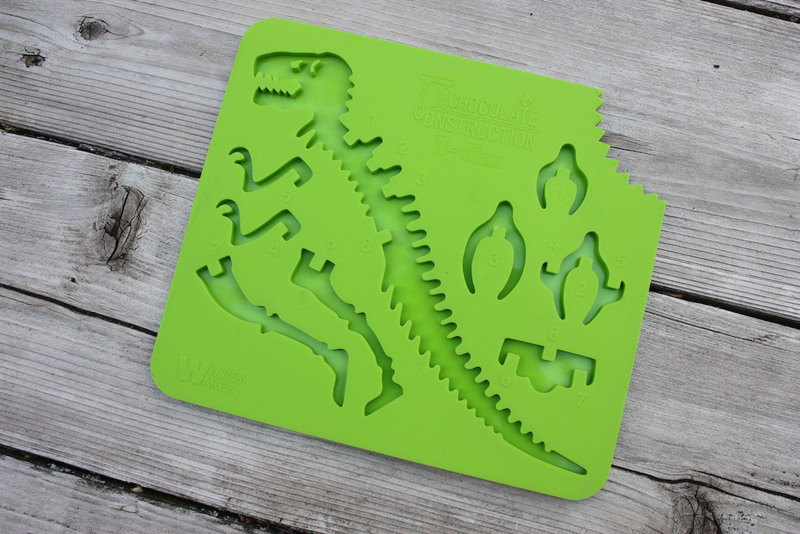 With the ChocolateConstruction 3D Chocolate Dinosaur Mold, you can have fun and eat it, too! 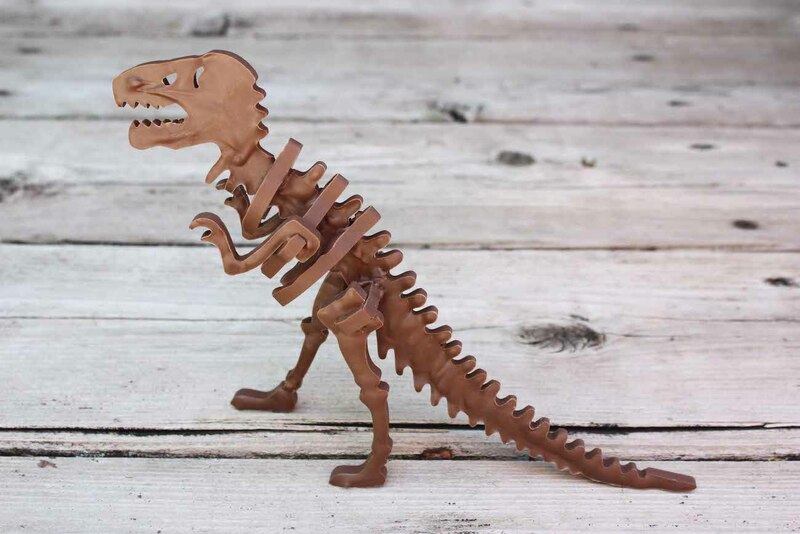 This mold is complete with all the parts you need to build your very own dinosaur. It even features notches for a sturdy and effortless build design. 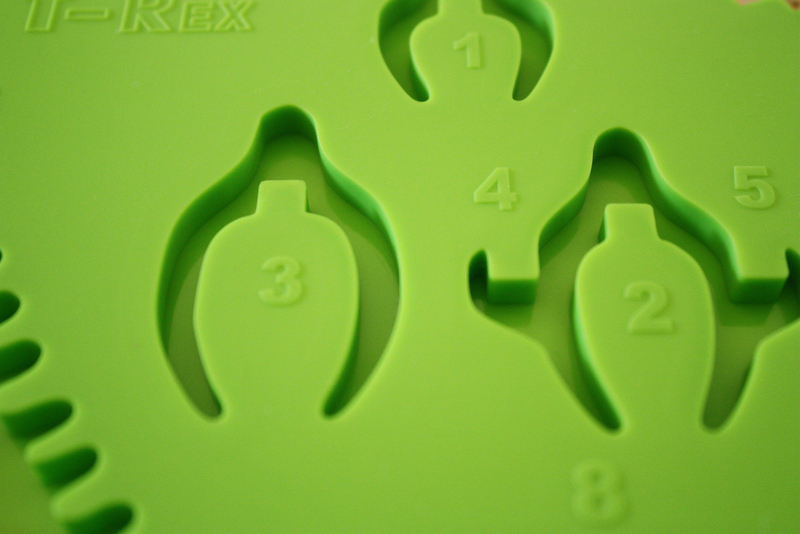 Simply use the numbers on the mold to put the pieces together. In just minutes you’ll have your very own 6-inch tall T-Rex! You begin by melting down chocolate and pouring it into the mold. After letting it cool for five minutes, you can then begin to excavate. 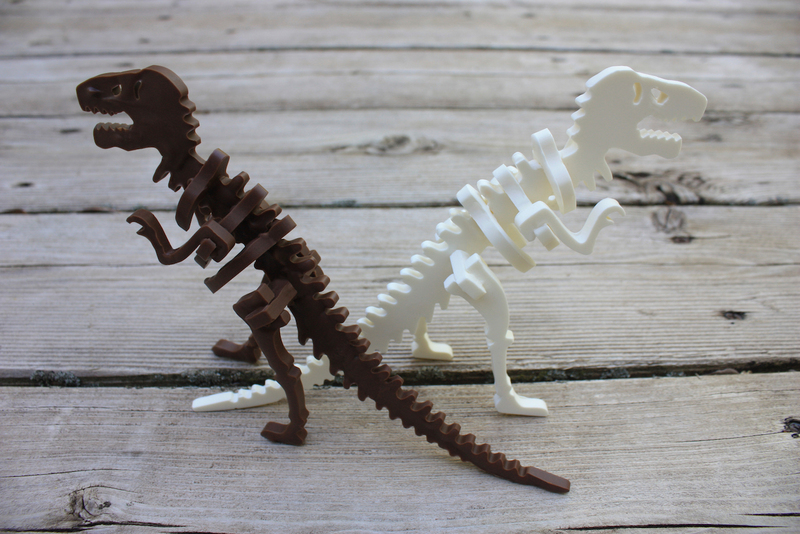 The ChocolateConstruction Mold is highly detailed to include the vertebrae and even the teeth. The soft mold helps you remove the pieces in their full shape without breaking. 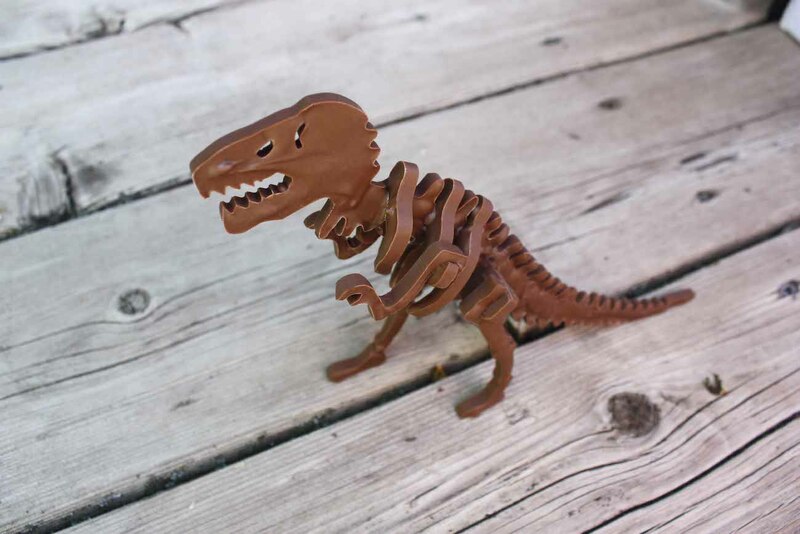 No matter your age, everyone will love creating and constructing this dinosaur. Of course, the final step is to enjoy your delicious chocolate T-Rex.